Lets take a look at the Boogie Bug UV case fan. You probably all know what a case fan is for, and almost everybody got one in his case. 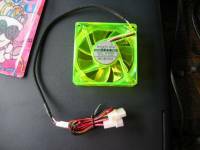 Is this UV case fan so different from the others. Well, we will see in the review. We can already tell you that the fan is produced in China, and the package is designed in France :P.
So, first we have a look at the specs of this fan. 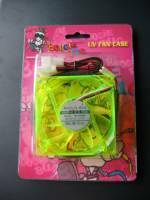 When we see this specs, we can see that the fan is turning with a Ball Bearing. This is a rather old ( and not so silent :P ) Bearing method, I prefer the new Rifle Bearing ( at this moment only used by Coolermaster ). Ball bearing is also fine, only a little bit more noisy. 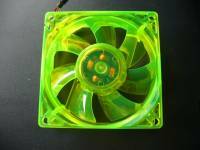 This fan is a bit other than other fans, because it’s an UV fan. 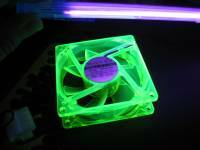 These fans are unique because their components have the strange property of being reactive to ultra-violet rays, which gives them acid colours in the dark, contrary to the usually dull looking transparent casings. First of all, this fan is easy to use just like all other fans. You can give this fan power trough the 3-pin connector, or trough the Molex connector. 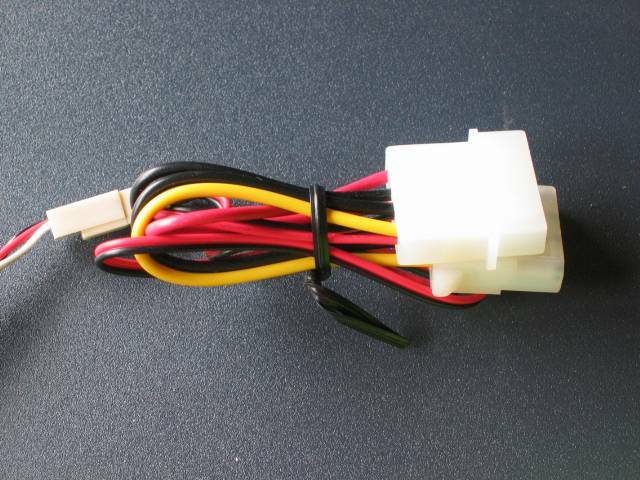 A nice thing is that they have included a three-to-four pin connector. The fan has pushes 35.83CFM, which is relative high. But this comes at a relative high Decibel volume of 32dBA. I don’t know what you can say more about this fan. It’s spinning, cooling your case, and produces some noise. So overall this a good fan, but I’ve see better ones. 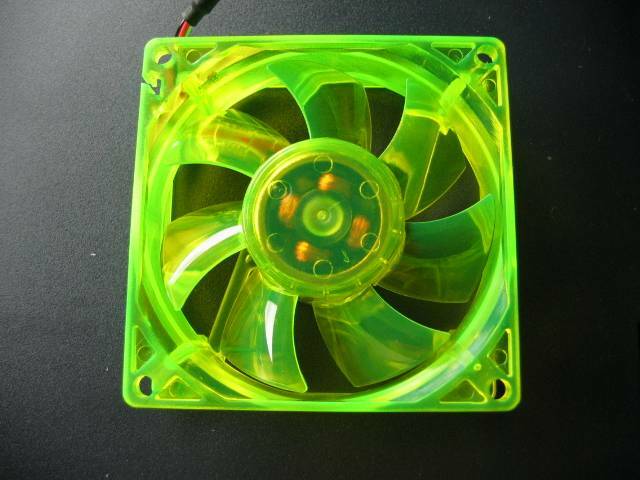 A very good usage for this fan is in an UV Case MOD ofcourse. 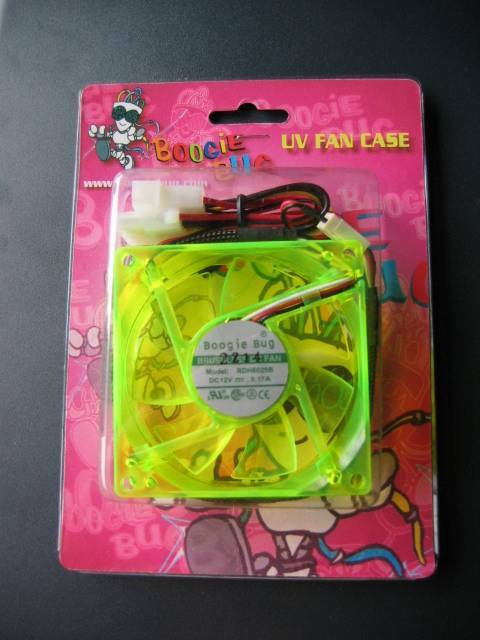 This UV fan from Boogie Bug is rather a good fan. 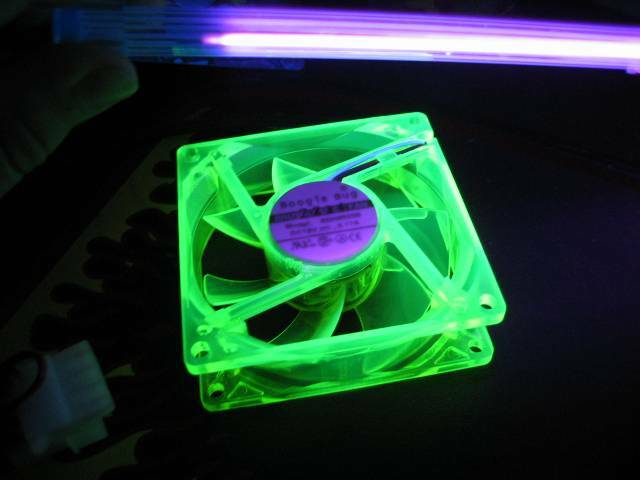 It’s a bit special because it’s UV reactive so it is ideal for UV case mods, but I prefer LED fans. It has Ball Bearing, I prefer Rifle Bearing ( but as far as I know this is only used by Coolermaster for the moment ). 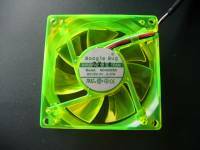 If you want an UV fan with a relative high CFM, this fan can be a good solution. Pushes out/in the hot/cool air, just like any other fan. The UV Case Fan from Boogie Bug receives a 7/10 from Dvhardware !